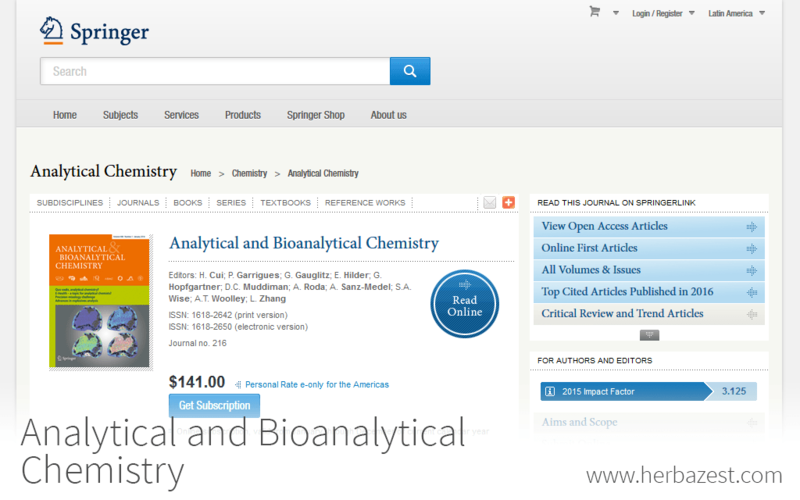 Analytical and Bioanalytical Chemistry is a highly-ranked, peer-reviewed scientific journal first founded in 1862, under the name Fresenius' Journal of Analytical Chemistry. They publish research on different wings of the analytical chemistry field, such as metallomics, ionics, or mass spectrometry. The journal publishes three issues per month and has a 2013 impact factor of 3.578.